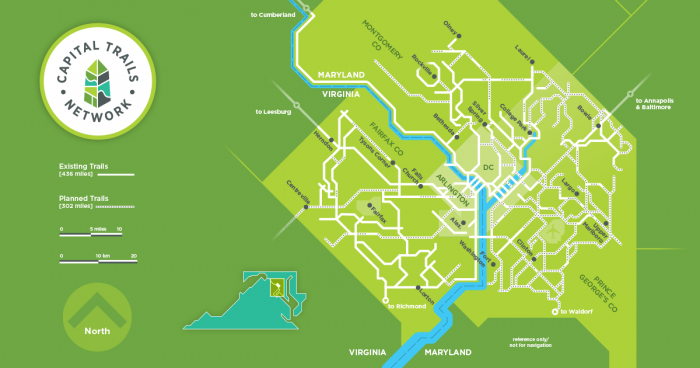 On the interactive map, click on a trail to find more information about the segment. Click on the home button for the map to zoom out to the entire network. 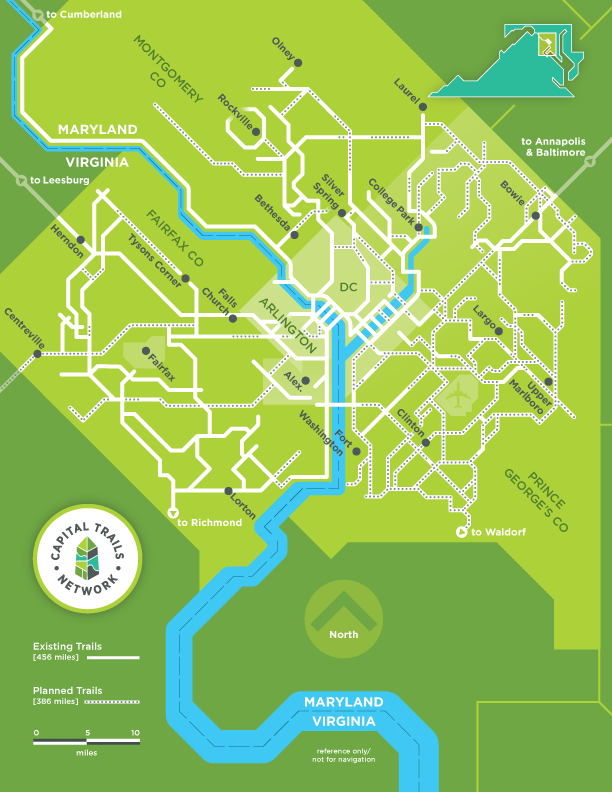 The diagrammatic map of the Capital Trails Network, with existing and planned trails in the DC region.